Anyone for Embossing? 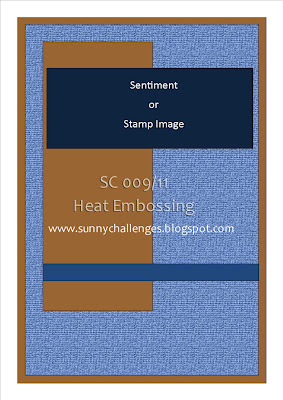 Heat Embossing, ie. This week, along with the sketch, we thought the Technique of Heat Embossing would be a bit of a change. So to enter this challenge, dig out all that long forgotten Embossing Stuff that you have at the back of your cupboard & apply it to this sketch. 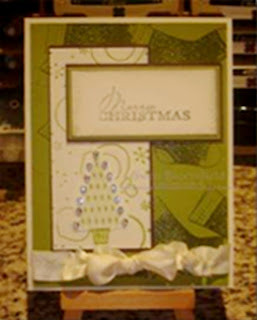 Okey Dokey, so why not have a go at creating a card, scrapbook page, etc & attach to Mr Linky. Don't forget, to include Heat Embossing along with the sketch. Most important is to have some fun!!!! We enjoy looking at all your entries. I have been trying to add my post to the link but for some reason it won't accept it. 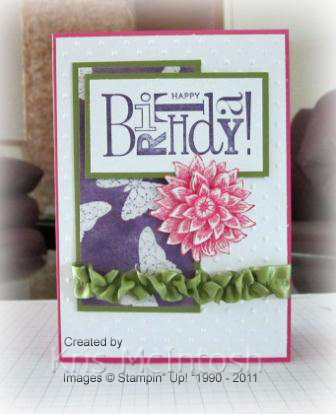 Here is the link to my card for this challenge. Hi Gwen, Chris and Vicky! I have recently found your site- love it! and have a card that I would like to enter for the SC009 challenge, but Mr. Linky keeps telling me that I do not have a back link to your site on the page but I have at least three( here is the link to my card http://www.stampingwithjuliegearinger.blogspot.com/search/label/SC009).